In the current run up in the price of gold, it is time to reassess how gold really relates to the dollar. One has to remember that gold almost never changes in value. It is the dollar that revalues in relationship to gold. 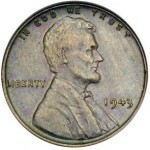 For example, in 1920 a good quality men’s suit could be purchased with a typical $20 gold piece. A similar quality suit today can be purchased with about the same amount of gold. 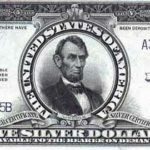 There is endless discussion regarding officially re-linking the dollar to gold in some manner, but in fact, gold is de facto tied to the dollar, and has been since the birth of the nation. Each time that gold is purchased, the price is different, and reflects the current perceived change in the relationship between gold and the dollar. 1834 – The gold content of the Eagle ($10 gold) is reduced from 247.5 grains to 23.2 grains, due to the melting of U.S. gold coins in Europe, raising the price of gold to $20.67. The “dollar” (there were no gold dollar coins until 1849) =23.2 grains of pure gold. To confirm this standard, the Gold Standard Act of 1900 defines a “dollar” as 25.8 grains of .900 fine gold or 23.2 grains of pure gold. 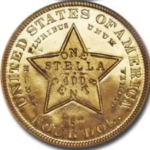 This dollar, call it Dollar #1 (D-1), isn’t redeemable for gold, it IS gold, since the United States Congress defines the dollar as a specific quantity of gold. Persons who hold U.S. currency, or who have deposits in U.S. banks can immediately convert these instruments into gold in the form of coins. In 1934, President Roosevelt, attempts to bring the United States out of a economic Depression by devaluing the dollar from 23.2 grains to 13.71 grains of pure gold, essentially devaluing the dollar by 41%. This raises the official price of gold to $35 per troy ounce. This is Dollar #2 (D-2). In addition, the Presidential decree prohibits U.S. citizens who hold deposits, from converting their dollars into D-2 dollars. In the 1950’s, President Eisenhower extends the prohibition to U.S. citizen’s gold holdings outside the United States. D-2 claims are still honored to foreign institutions; therefore the U.S. standard of value is still gold. 1971 – President Nixon declares that the U.S. Treasury would no longer pay D-2 dollars in exchange for dollar claims. Gold is soaring in Europe. 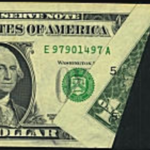 1971 – Only Federal Reserve Notes are printed. The obligation, the promise to pay, is removed from the notes. Though the term “note” implies a promise to pay something, Federal Reserve Notes now represent nothing. Today’s dollar is completely fiat money. 1973 – Congress creates Dollar #3, 12.63 grains of pure gold and in 1974, Dollar #4, 11.37 grains of pure gold. Both D-3 and D-4 are fictional as no gold coins are coined, nor is any gold available to pay dollar claims. One could say that the dollar, though no longer gold, represents a claim on real things in the market place. This is flawed thinking. A unit of account that has no anchor tends to devalue over time, sometimes rapidly. This has been proven in the history of the D-4 dollar since 1971. 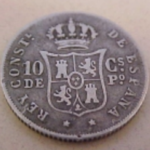 The rapid run up in real estate prices, gold, commodities and numismatic coins show that people are willing to exchange more and more fiat dollars for other things that maintain real value. Saving fiat money as a store of value is certainly foolhardy.